Lindsay Wagner - Most people first became familiar with Lindsay through her Emmy-winning role as THE BIONIC WOMAN in the series that ran from 1976 to 1978. Today, Lindsay makes little distinction between her life as an actress, advocate, mother, humanitarian or author. What unites these various parts is a commitment through her work and her personal life to advancing human potential. 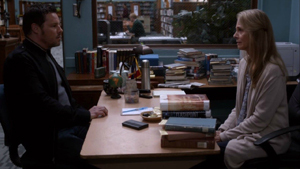 It is clearly the reason why her career took a direction towards the genre of television movies, a field in which she is the undisputed record holder with more than thirty starring credits. Made-for-television movies have always been a receptive vehicle for issue-oriented stories. Lindsay is currently filming the movie Christmas on the Range, also starring A. Martinez, Nicholas Gonzales and Erin Cahill. Lindsay plays the long-estranged ex-wife of Brick McCee (A. Martinez), a wealthy, bitter rancher. Watch for a December premiere. Lindsay returns as Alex's mother 'Helen Karev' in the 15th season of ABC's GREY'S ANATOMY on Feb. 28, 2019. 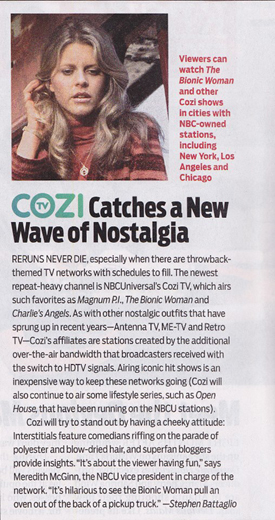 There was a color photo and small article about Lindsay in the Jan. 14, 2013 issue of TV Guide (page 7), about The Bionic Woman airing on Cozi TV. Click on the image below to view a larger image of the article. MARTIN'S DAY is released on DVD on April 1, 2019 from Fabulous Films LTD. THE BIONIC WOMAN: THE COMPLETE COLLECTIN was released from Universal Studios on Oct. 13, 2015. 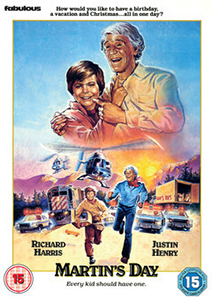 Special feaures include: Six Million Dollar Man Crossover Episode Bionic Woman Part 1 and II with Audio Commentary with Writer Kenneth Johnson, Six Million Dollar Man Crossover Episode The Return of the Bionic Woman Part 1 and II, Six Million Dollar Man Crossover Episode Welcome Home, Jaime, Gag Reel, Bionic Beginnings Featurette, and Photo Gallery. Pre-order your copy today using the Amazon.com link below! Keep up with all of Lindsay’s career activities through her official fan club. Fan club membership benefits include: a welcome letter from Lindsay, biography, filmography, two (2) 8x10 B/W photographs and a 12x16 B/W poster which all comes in a unique membership kit folder. As a fan club member, you will have unlimited access to the For Members Only section of the FanSource website featuring exclusive photos and other exciting fan club membership benefits, and receive email updates. Periodic newsletters will keep you up-to-date with all of Lindsay's current career activities. Mr. / Ms. / Miss / Mrs. Mention FanSource when joining and receive a free gift! For those fan club members who have received a renewal postcard, and would like to renew their membership for another year, please use the PayPal icon below. FanSource is now accepting PayPal. to make your secure online purchases.